The SAP Partner Innovation Lifecycle Services (PLS) team will be onsite at SAP TechEd 2017 in Barcelona on November 14-16, 2017. SAP PLS enables the partner ecosystem to innovate and develop solutions to maximize customer success. 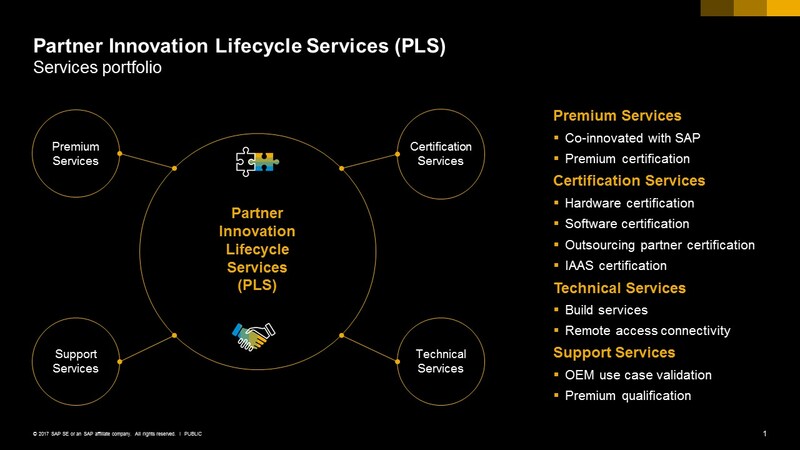 We offer a wide range of services supporting partners throughout their innovation lifecycle to create solutions that accelerate the market adoption of SAP and partner portfolios. SAP PLS will be present on the show floor to meet with partners and ISVs to discuss how to best leverage SAP platforms and technologies to develop market leading solutions for customers. PLS experts will share best practices on how to build and integrate your solutions based on the scenario. They will guide you down the right path to services that will accelerate your development so you can reach the market faster and gain that competitive advantage. Our team will be hosting two technical networking sessions this year where we will provide in-depth expertise around S/4HANA and Co-Innovation with SAP. Come by to learn how SAP PLS can support you on your journey to building innovative solutions. Add these sessions to your agenda and contact us to book a meeting with one of our experts at the event. Looking forward to seeing you at TechEd! Previous SAP Mentors in SAP TechEd Barcelona? Yes we will have!